this is probably the most natural reaction if your are not familiar with this fish…. even if you are…no doubt it still has a lot of visual impact. This is a MONKFISH (‘ANKO’ in Japanese). 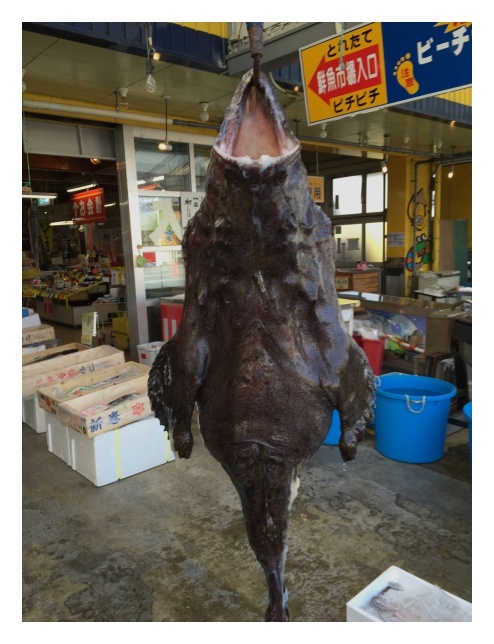 If you are a fish or sushi lover, I am sure some may have heard of BLOWFISH (‘FUGU’ in Japanese) but not so much of this MONKFISH (‘ANKO’) which is a winter delicacy. It is caught in deep waters residing at the bottom of the ocean, forgiving the part of looking grotesque and ugly, the fish itself has a firm flesh, full of collagen, jelly-like and is very delicious. 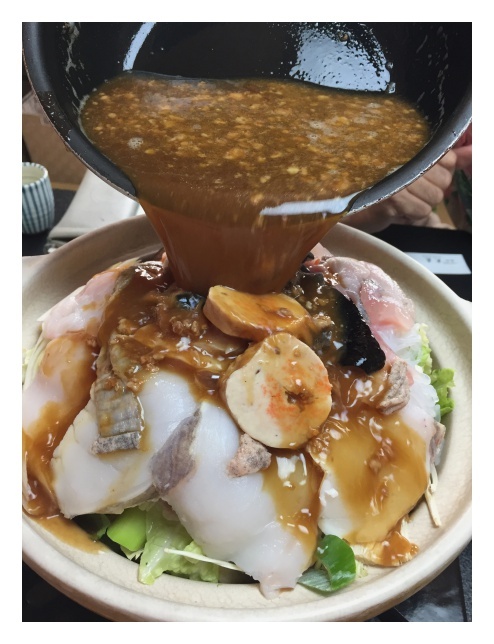 The most popular way of eating MONKFISH is of a hot pot seen below. Oarai town in Ibaraki prefecture, some 2 hour northeast of Tokyo is well known for this MONKFISH fishery. We took a drive to a restaurant called ‘Oomori’ at Oarai, a restaurant which normally specializes in sardines cuisine but serves monkfish only during the winter months. 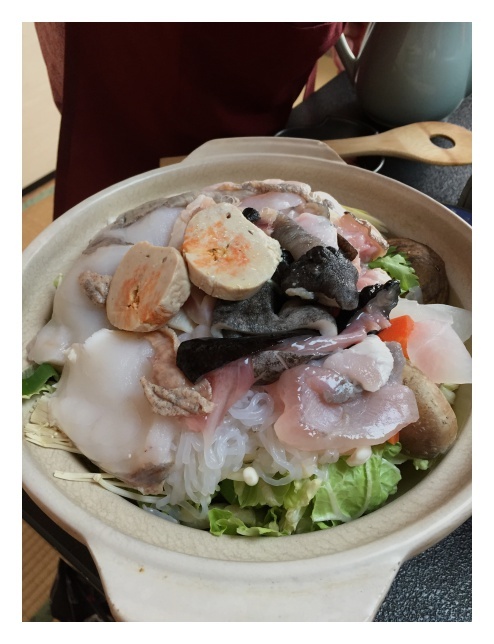 This is the ANKO NABE, a hot pot which is served at the table. The fish meat, skin, liver is placed over a bed of hakusai (white cabbabe), shitake mushrooms ready to be boiled over a grill pan. 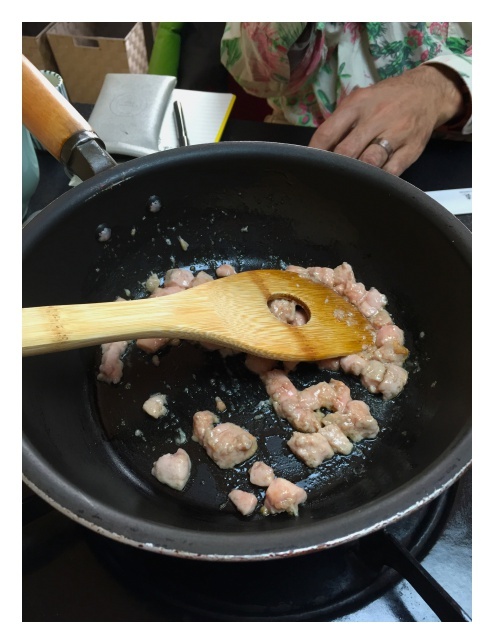 The Anko liver is first sauteed until the liver oil starts to dissolve and begins to get bubbly as below. 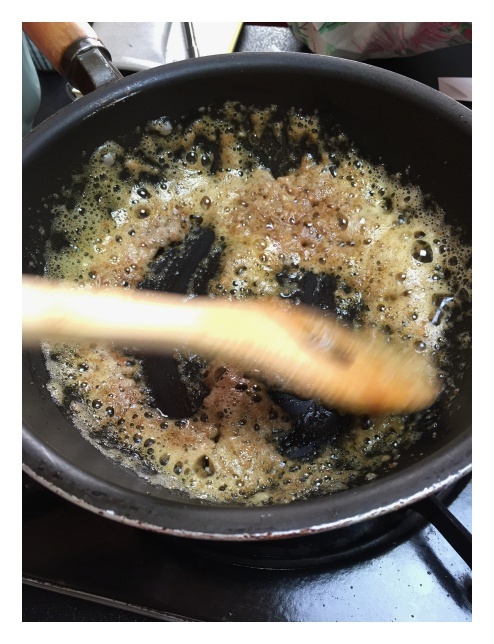 Dashi (soy sauce broth) and hatcho-miso is added to the anko liver and used as soup to boil the ANKO hot pot. 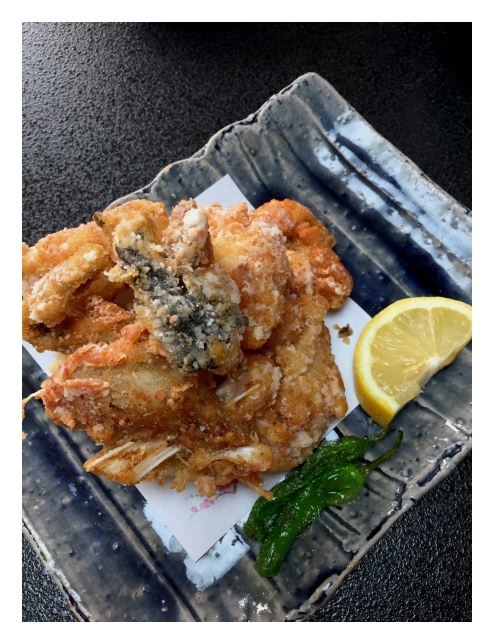 A la carte menu – fried Anko. Extremely delicious.